SilverBridge Developer Tsundzukani Davi Mhlongo. "Tsundzukani joined SilverBridge as an intern in 2016 following which he was appointed as a permanent staff member. This illustrates just how effective the Awesome Projects internal campaign is in unlocking the potential of our employees irrespective their job level or areas of expertise," says Claudette Steynberg, Product Manager at SilverBridge. Exergy is the foundation on which SilverBridge develops complex products. Each of these contain a comprehensive list of input parameters that are validated to ensure that acceptance criteria are met. As part of this, a list of errors and error combinations are set up by configurators to make sure that the input parameters are captured correctly. "When I started working at SilverBridge, I played around on the system and familiarised myself with it. I created a policy and tried to validate it but received a list of errors which I could not resolve. 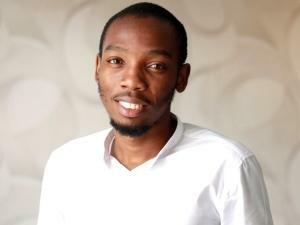 This proved to be the basis of my idea to create a double-click function on the error grid to take me directly to where the error occurred," says Mhlongo. "Awesome Projects lets employees think creatively on addressing the challenges our users face with the system. This results in creating a more user-friendly environment and sees us thinking differently about how our work impacts others and how effectively they can complete their job functions." "Working on the project has exposed me to new learnings about how the backend core processes work. In turn, this has given me a clearer understanding of how my daily tasks connect to how our system works, it has also improved my communication skills with my team. I am looking forward to next year's competition and already have a few ideas for projects to embark on." SilverBridge has over 20 years' experience as a leading provider of insurance software solutions in the African financial services industry. Its footprint extends to 12 African countries. SilverBridge has introduced an enhanced service offering allowing financial services companies the opportunity to respond quickly to changing markets. With more than 30 customers throughout Africa, SilverBridge has the knowledge, experience, and technology to help its clients do better business.